Swimming around the expanse of water around you watching different shoals of fish circle coral and zipping about the water as larger animals such as; tortoises and manta rays roam and watch from afar is relaxing. The sun rays hitting the water light the area and reveal sunken planes, hidden caves and more sea-life. Serene. Relaxing. Enjoyable. Then the missions kick in and all this transforms to frustration, tedium and repetition. 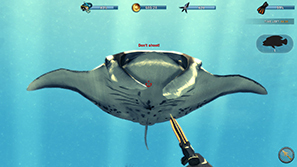 Depth Hunter 2: Deep Dive is a game about performing several unrelated mission types across three areas of ocean – Thailand, South Africa and Bahamas. The eponymous hunting, finding treasure and photographing specific things are the activities you'll encounter, though no context is given for any of these. 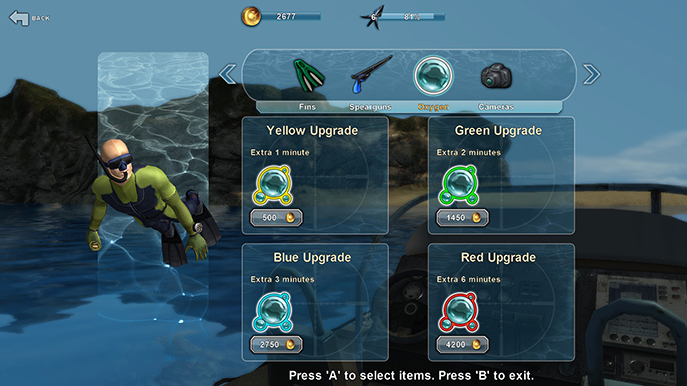 For each area of ocean you get a series of missions, completing one to unlock the next, which will have within it a varied number of objectives. 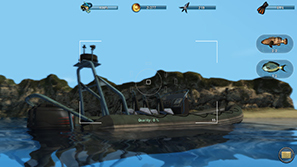 It will take you between one and twenty minutes to complete a specific mission. Once completing all the missions in the opening area – Thailand – the next area becomes available. The underwater landscapes look pretty nice. 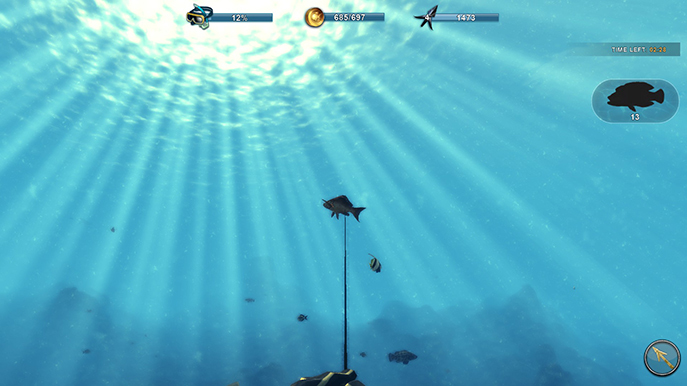 The combination of colour, lighting (with the sun rays), and the amount of wildlife on screen at any one time works well in the game's favour. It is genuinely pleasant to swim around. 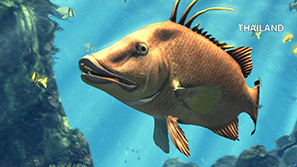 The fish are well modelled though some of their colouring differ from the pictures you are presented with to use as reference. The soundtrack fits well with the relaxing intention of the gameplay, with smooth and soft pieces accompanying your dive. You'll spend much of your time in Depth Hunter 2: Deep Dive going through the missions. While diving you have an oxygen bar which slowly depletes. Swimming to the surface will refill it quickly. You also have bars for gold and experience – you gain these by completing missions and catching fish – and one bar for stamina. This allows you to swim very quickly for a short amount of time and refills slowly. These are upgradable in the menu outside of missions and you spend gold to do so. Upgrading oxygen generally means you don't have to worry about surfacing during the majority of missions and increasing your accuracy is necessary (I did the first two area's missions before doing this and the difference is very notable). Thanks for your sympathy, game. The treasure missions, again, vary between finding specific items or finding as much as you can (or however many you want to) within a time limit. These brought the most frustration; some of these objects (always on the sea floor) are incredibly difficult to locate. This is due to some having very similar (if not the same) textures to nearby rocks or the sea floor in some areas and being half buried (when most others weren't) so that they didn't resemble the provided reference. You'll complete the vast majority of these objectives with ease but occasionally be unable to locate that final item; ending up swimming around for what seems like an age until you finally find it. The items you find are re-used for every objective too. Photography is by far the most enjoyable aspect of this game. You can switch to your camera at any time but there are specific missions. 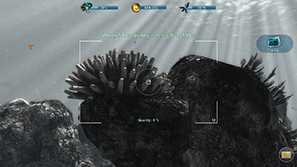 These follow the same style of objective; go here and photograph this number of corals, for example. You need to get 100% quality in your black and white photographs and this translates as how close you are. It is fun composing the photos (in the limited nature the game forces) and these objectives match the relaxing environment. That is, until you get one where you have to photograph something very specific and you swim and you swim trying to find it. It took me an average of fifty-five minutes each to complete the first two areas. The third; five minutes. There are two very short and simple missions in the third area and the game ends abruptly. This is a little concerning; bare in mind this game is not early access. It is a shame that the missions are not spread or paced well. Thailand has five missions, South Africa; nine and Bahamas; two. This isn't an acceptable way to present the final section of a game. 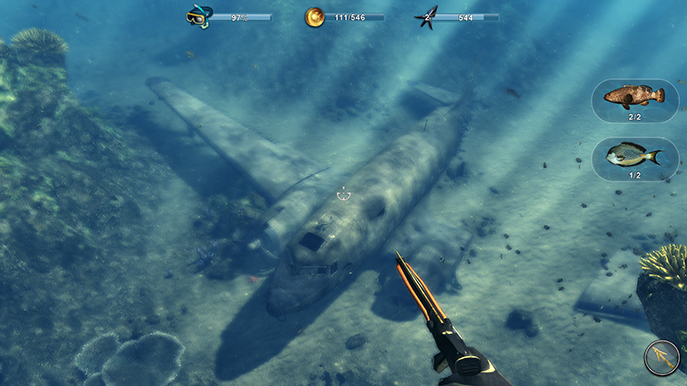 I wouldn't necessarily call Depth Hunter 2: Deep Dive a bad game, but it is far from a good game. The game runs completely smooth and I encountered no bugs or glitches. The relaxing pace and enjoyable atmosphere are damaged by the frustrations of the repetitive and uninteresting mission design. Doing the same thing over and over becomes a bore and does so quickly. I wouldn't recommend it for its current price.